Poulsbo’s Fish Park is a nature park in an urban setting. This project began in 2002 with the purchase of 13 acres. The ongoing development has been successful using city dollars, state and federal grants, property donations, various service clubs, and extensive volunteer support. 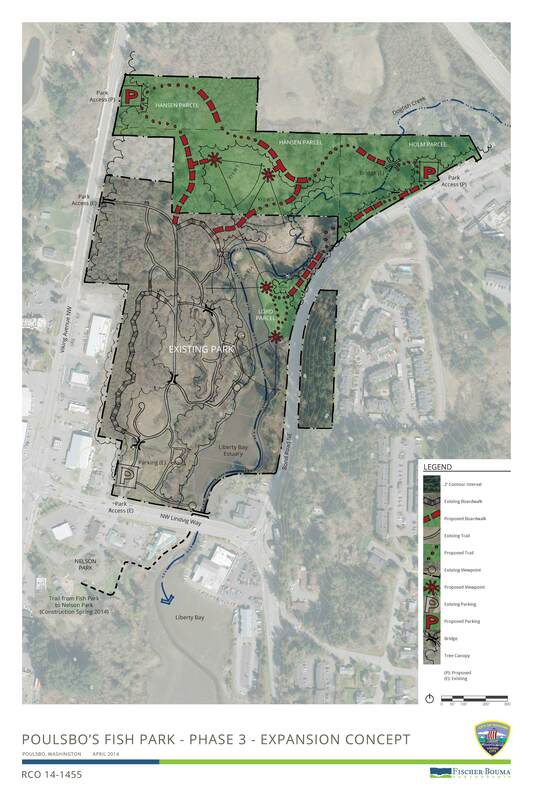 The Poulsbo Fish Park citizen steering committee continue to plan and fundraise for future park development. Opportunities on this 42.68-acre nature park includes public access trails and boardwalk, interpretive areas, and wildlife viewing along the estuary. Click here to see the master plan for Phase 1 , Phase 2 and a conceptual plan for the expansion. 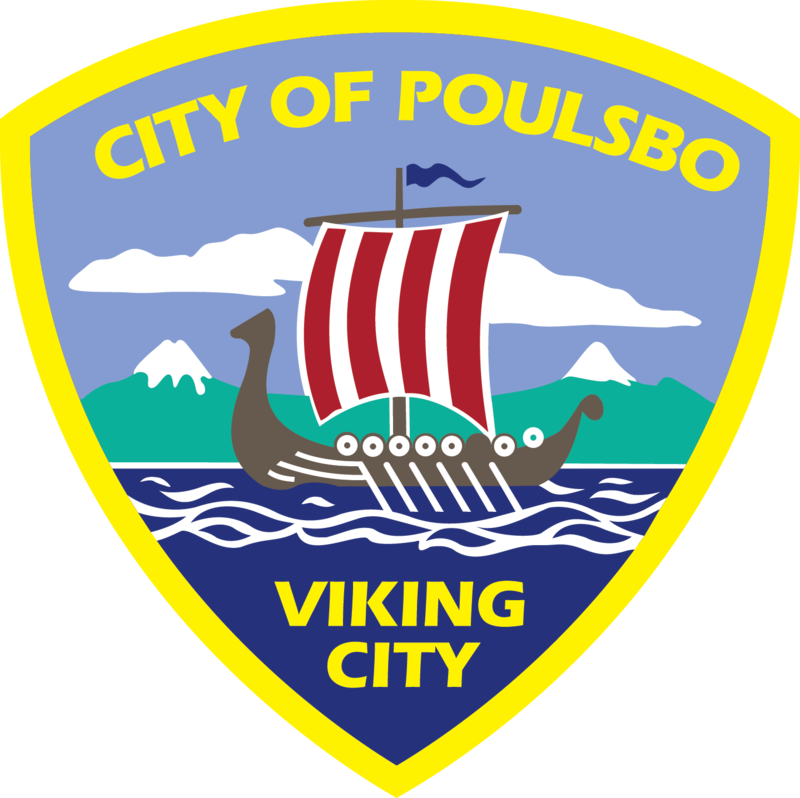 The creation of a city-wide trail plan for the City of Poulsbo was adopted in June 2012. This plan will also look at connecting to regional trail systems to the south and north of the city. Click here to review the 2012 plan. The North Kitsap Regional Events Center master plan provides a long term vision that will improve the quality of life for people within the North Kitsap School District boundaries (including the communities of Poulsbo, Hansville, Keyport, Indiannola, Kingston and Port Gamble) and those living on Bainbridge Island. The Events Center will be an easily reached, identifiable community focal point where people gather to socialize, participate in cultural activities and recreate. It will also accommodate regional sports tournaments. To view a copy of the Interlocal Agreement between partners, click here.